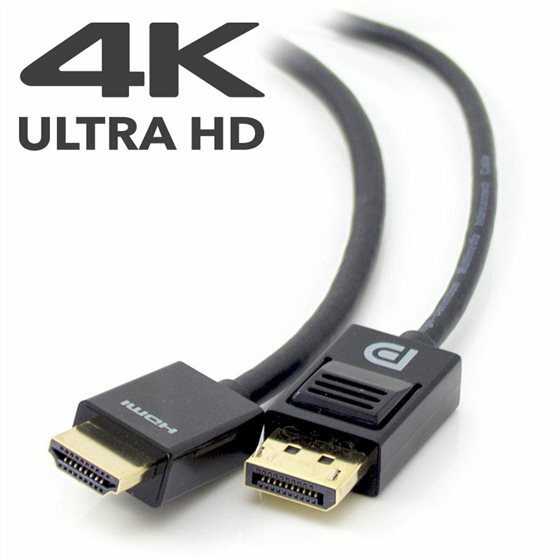 The ALOGICSmartConnect DisplayPort to HDMI Cable with 4K Support cable is designed to connect a PC enabled with a DisplayPort output to display enabled with a HDMI input. The cable supports a maximum resolution of 4K (4096 X 2304). The DisplayPort latching connectors provides a secure connection between the PC and the display with support for two way connectivity and optional audio support.